The History of Lucha Libre is intertwined with the history of Mexico, mass media, and entertainment in general. Its following, both in Mexico and other countries, has made it the most popular sport after soccer in a country of 100 million people, and an integral part of pop culture. In the early 1900’s, Mexico was in the middle of a Revolution against the current dictatorship of Porfirio Díaz. As with many times of war, the public looked for diversions to distract them from the every day realities of the fighting around them. Two Italian businessmen, Giovanni Reselevich y Antonio Fournier began promoting fights, in which opponents fought each other hand to hand, without weapons or protection. These fights were known as Lucha Libre, or ‘free fight’, and were notorious for their lack of regulations and violence inflicted upon the luchadores, or fighters. While common belief is that this fighting style was originally introduced by the French during the invasion of 1863, it wasn’t until this time when Reselevich and Fournier where developing a cross-town rivalry between their respective promotion companies, that Lucha Libre began to develop large followings throughout many parts of the country. In 1929, Salvador Lutteroth González, was working in the United States where he began attending professional wrestling matches in El Paso, Texas. It was there that he became fascinated with the sport, especially the colorful personalities of the wrestlers, and decided to bring the sport to his home country of Mexico. The EMLL, now called the Consejo Mundial de Lucha Libre (CMLL) is the longest running active professional promotion company in the world. Its current home is the 16,000 seat Arena Mexico in Mexico City, considered the Mecca of professional wrestling in Mexico. The use of mascaras, or Lucha Libre masks, had been a part of Lucha Libre since its inception, however, it wasn’t popularized until the introduction of Santo, El Enmascarado de Plata, or “Saint, the Silver Masked Man”. Santo made his debut in summer 1942, and quickly captured the public’s fascination with his fighting ability and mysterious secret identity. Santo is clearly the greatest luchador of all time. Other contemporaries of great popularity include Blue Demon, Dr. Wagner, Solitario, Mil Máscaras, Rolando Vera, Anibal, Ray Mendoza, Rayo de Jalisco, and more. A popular part of a Mexican wrestler’s persona is his or her mascara, or lucha libre mask. 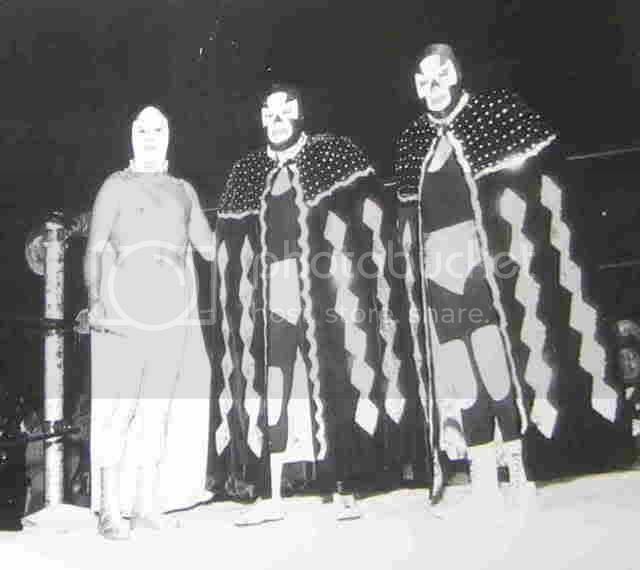 The masks play an important part of the storyline, and can also provide some anonymity in a country enthralled by the sport of Mexican wrestling. 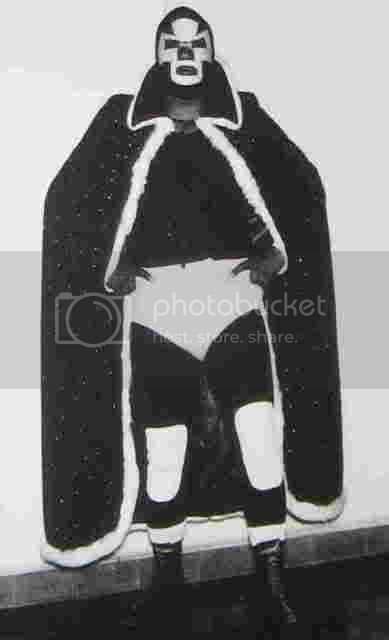 Most all luchadores start their careers as masked wrestlers. They may even put their masks, and identities, on the line in a fight of Mask vs. Hair, or mascaras contra cabello, in which the loser loses his mask or gets his head shaved, depending on whether he wrestles with a mask or not. Lucha Libre is also unique from professional wrestling promotions in the United States and Europe in that the wrestlers usually have smaller physiques and the wrestling moves are more aerial and high-flying, as opposed to the power moves popular in the US. The lighter weight division, or peso semicompleto, is the most popular in Mexico, and feature technical and acrobatic skills unparalleled in other countries.